Thank you LBV Immo for going that extra mile. 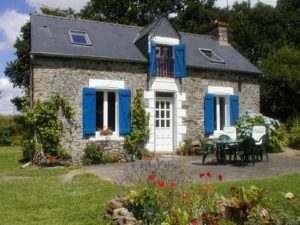 The sale of our French house was conducted in the most professional manner with meticulous attention to detail from start to finish. When we moved to Spain, we lost all the documents relating to the sale but one call to LBVImmo solved that very worrying problem and all copies are now in our possession. LBV Immo SARL was created in 2012 following on the success of Les Bons Voisins property management network which had since 2002 built up a solid reputation for trustworthiness and proactive work on behalf of their client base. Wanting to bring that same level of service and commitment to the world of French estate agency, LBV Immo was launched by the spring of 2013. 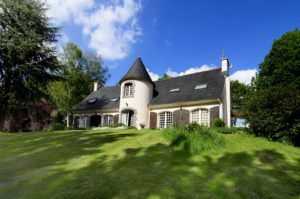 Agents and management alike take pride in hand-holding their prospective purchasers from that very first tentative enquiry about how they might buy a property in France, right through to breaking open a bottle and celebrating as they hand them the keys to their French home. Working with trusted contacts be that the local Notaire who manages the legal sales process, the Bank where they open bank accounts for the new owners, or finding artisans to quote for any remedial works, LBV Immo surrounds their clients with good old-fashioned TLC! The standard on line advertisements are often supplemented by a video which can be provided on request, given that many of the purchasers are not just around the corner and want to select a short list of properties to see before they visit. During the prospective purchaser’s information gathering LBV Immo agents build up a good rapport with them, such that the team have adopted the tried and tested ‘mystery house’ formula. Viewing trips often contain a surprise viewing of a property the agent has selected for them, and in fact many’ s the time that the new owners confess what they have bought is down to their agent matching them to a property which on paper they may not have visited, but which is the one they ultimately chose. The hand holding of purchasers doesn’t have to stop with the key to the door of their property. The Directors of LBV Immo can also provide expert advice on many aspects of settling in France, from applying for a Carte de Sejour through to business registration and everything in between!